With the salmon and steelhead season closed due to lack of fish, marinas and boat launch ramps the Columbia River, along with the small towns that make most of their income by catering to fisherman, are now ghost towns. The only salmon fishing activity on the Columbia River are the tribal fishermen gillnetting the salmon to extinction to buy new pickup trucks. At least us non-indians have the smallmouth bass to fish for. The weather is getting colder but the river water is still fairly warm. The water levels are up and down like a yo-yo, but that’s the way it goes. 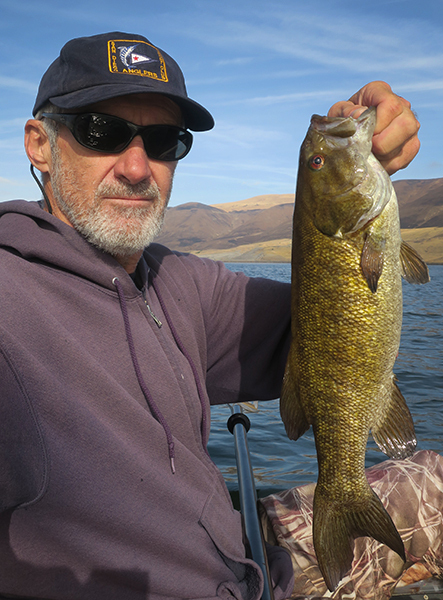 We headed east from the salmon fishing ghost towns and hit the Columbia River to see if the smallmouth bass were biting. It turns out the smallmouth bass were biting. The fishing was a lot like spring bass fishing; not that many fish, but the fish caught tend to be a little larger than average. I only caught five bass, but they were all nice fish, including this smallmouth that will probably be the biggest smallmouth bass of the season for me. 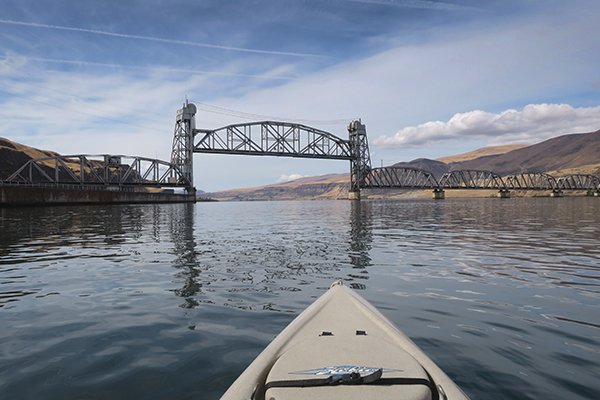 Between this year’s relentless Columbia River basin wind and the salmon season being cancelled, 2018 will go down in the books as one of the worst fishing seasons ever, especially for kayak fishermen. We may get out for another smallmouth bass fishing trip or two if the weather cooperates, but at this point, the PacNW fishing season is pretty much a wrap and we are starting to look ahead to largemouth bass fishing on the Colorado River.